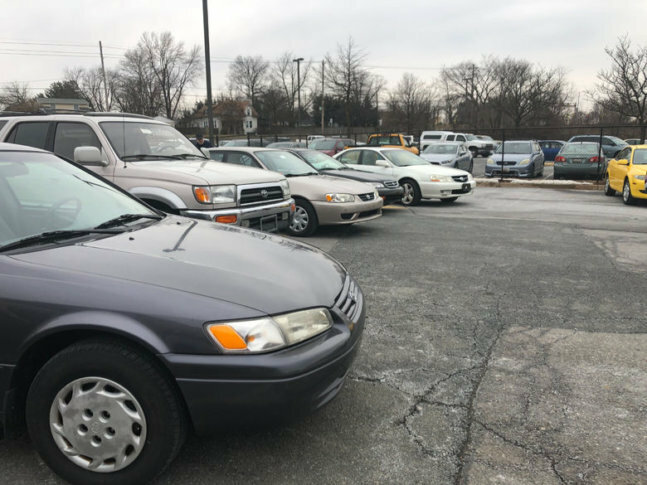 Students in Damascus High School in Montgomery County, Maryland, were guided through the process of refurbishing used cars and selling them. See photos of their efforts. WASHINGTON — Students at Damascus High School are getting hands on with a program that allows them to explore new skills. The Montgomery County Automotive Trades Foundation guides students through the process of purchasing used vehicles and refurbishing them before they are put on display in the school parking lot, which was transformed into a sales floor. Drayson Salazar is a junior and said it’s been an opportunity to explore possibilities when it comes to a career. “I’m still trying to figure it out but I just want to like learn and expand my knowledge,” said Salazar. Standing next to his friend, sophomore Nick Vanhoven, both students said the program has played a major role when it comes to developing communication skills. “You learn how to work with people and gain that confidence that you need to apply for a job,” said Vanhoven. It’s a win-win for Patricia Baca, who was hoping to buy her first car. “I want something kind of economic and something I don’t have monthly payments on,” said Baca, who had her eye on a black Acura. The cars will be sold through a lottery, where customers sign up for the car they like before a decision is made through a drawing. All of the money from the sales will go back into the program. Kelly Johnson oversees the program and said it’s been around for decades, also offering students experience in construction and IT. The automotive portion takes place three times a year, once at Damasacus High School each February, and again at Gaithersburg High School in December and at Thomas Edison High School in May. “We get kids in these programs that really have no idea but they build up this tremendous skill set and it gives them opportunities for the future,” said Johnson. Cars that weren’t sold Saturday can still be bought online.